The real estate represents one of the markets with the greatest investment possibilities , not for nothing a large number of people search among the options to create a profitable movement of money, and a large part choose to use the rental of their properties to obtain the benefits that this brings to the owners in terms of profits and experience. Be always transparent with your tenants : Labor relations of this style should always be based on transparency and good communication because only in this way you can receive the same back. It seeks to project the future tenants the security and tranquility necessary to trust you in order to have from this the best possible relationship. Be flexible with the rules : This doesn’t mean that you can accept what is, on the contrary, being flexible with the rules can open a range of possibilities much wider than being too demanding. Topics such as pets that are so important today can be the key for tenants to want to live on your property. Have everything in writing : For simple security, it is essential that everything established between the two parties is in writing, verified and signed to be able to verify after a time that everything is in agreement. From an inventory to the verbal agreement that could be had in the beginning you can easily have it in writing to avoid forgetting any important point. Keep everything in order always : This has to do directly with the property because to avoid any inconvenience it is important that you do an adequate maintenance to all the spaces of the house in such a way that you can prevent any later problem. In case you already have a tenant, the important thing is that you maintain a clear communication with him to be aware of what is needed and how it can be resolved. Perform periodic studies of the market : The only way to have a price in accordance with the current reality is analyzing how the market moves and what are the possible comparables of your property, this, with the sole purpose of presenting an attractive offer for any type of tenant who is looking for a house similar to yours. 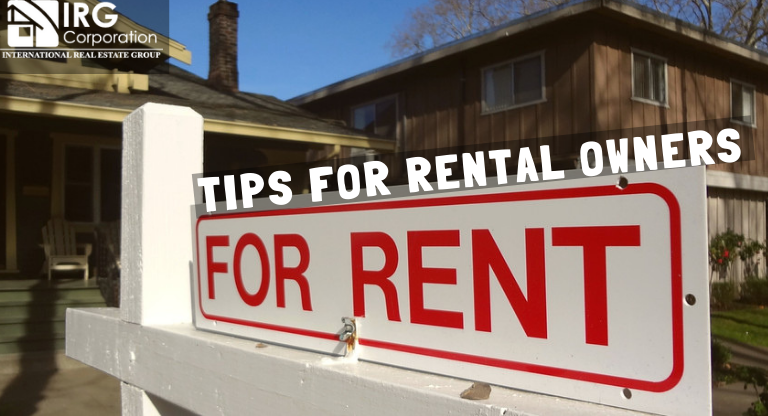 Owning a rental property , if you are able to distribute your time very well and manage to choose your tenants well, it can be a fairly simple task in which both parts of the business feel comfortable with everything that is being done and this does not represent any problem or headache for anyone. “People who are doing well are people who go in search of the circumstances they want and, if not, find them”. Playwright, critic and Irish author.